Do you know the difference between a NY style pizza place and a Northern style pizza place? Here at Fairway Pizza and Sports Page Pub, we specialize in Northern style pizza so you can bet that we know the difference between the two! How Does a NY Style Pizza Place Differ From a Northern Style Pizza Place? Northern Style pizza is what we serve here at Fairway Pizza. Northern style pizza is a type of pizza that originates from Northern Italy. 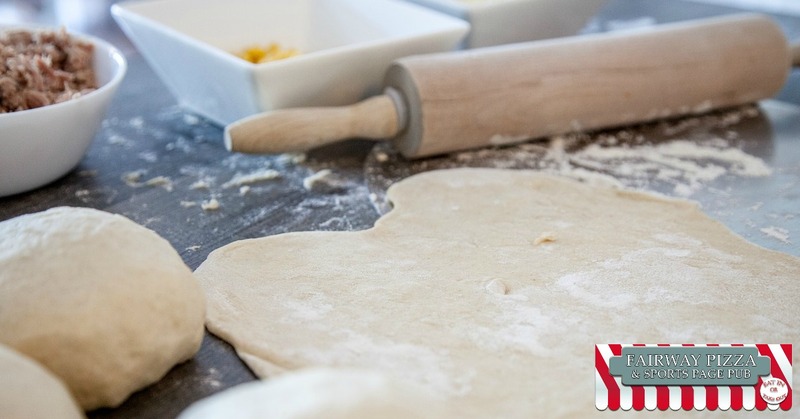 Northern Italian pizza crust is more breadlike in texture and thicker and the pizza itself is covered with thickly sliced toppings and plenty of them! How does Northern Style pizza compare to NY Style pizza? NY Style pizza has a very thin, hand-tossed crust. The tomato sauce is spread thinly over the pizza crust and is topped with a thin layer of cheese. The toppings on NY Style pizza are thinly sliced so that they don’t weigh down the thin crust. When eating Northern Style pizza, slices are thick, loaded with delicious toppings and while they can be eaten with your hands, if you like a lot of toppings, you might find a knife and fork come in handy! When eating pizza from a NY style pizza place, slices are wide and thin and are usually eaten by hand folded in half. So which type of pizza is best? Here at Fairway Pizza, we are, of course, partial to Northern Style pizza! It’s a thicker pizza with much more substance, plenty of toppings, and it really leaves you feeling satisfied. We don’t mind NY style pizza, but we like to feel full and satisfied after dinner and NY style pizza places just don’t leave us feeling that way! Want to Try Northern Style Pizza For Yourself? 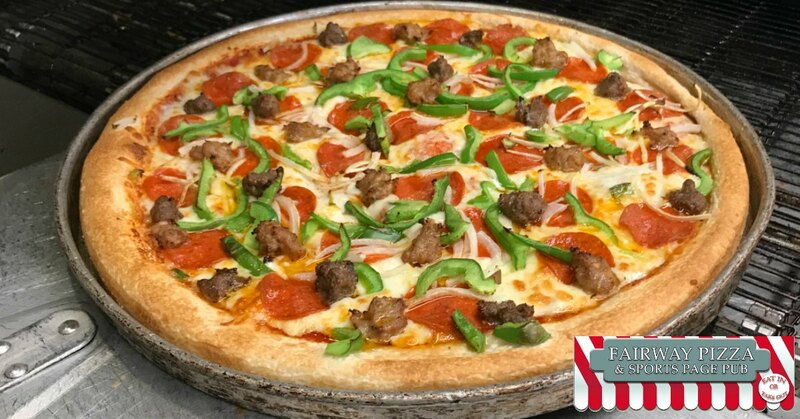 If you live in or near Palm Harbor and are craving for a pizza that will leave you full and sated, drop in and pay us a visit here at Fairway Pizza! Don’t want to wait around? Call ahead and we’ll have your pizza ready and waiting for pickup when you drop by. You can reach us at 727-772-7060 to get your order in now.